If you’re like many people, you may have met your neighbors when you first moved in, but haven’t had much contact with them since. It’s never too late to build the foundation for a friendship with the people who live around you. 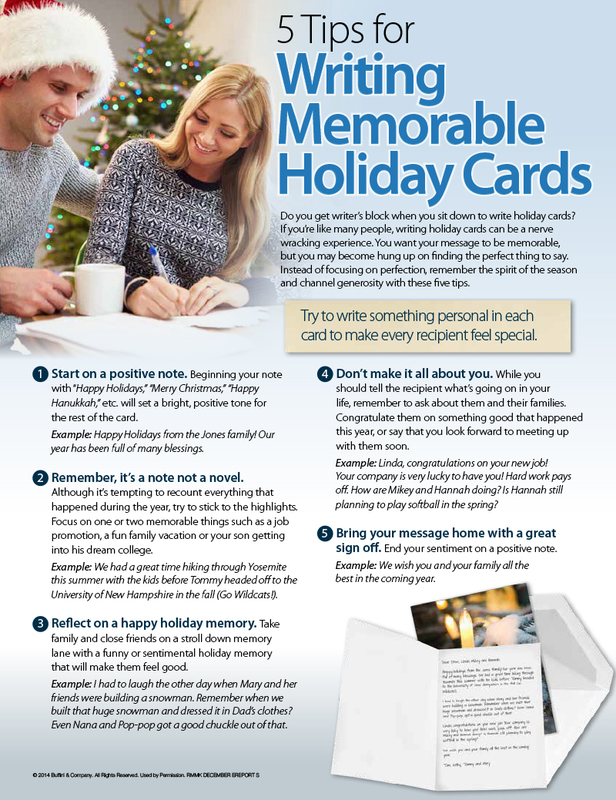 In fact, the holiday season provides a great opportunity to connect with them. This month’s information is full of ideas to break the ice with your neighbors. Page one offers five thoughtful gifts to bring to your neighbors to get the conversation started. Page two lists safety, economic and social reasons for connecting with your neighbors. Make your neighborhood a better place with a smile and a kind word! Feel free to pass this information along to your family, friends and neighbors to inspire them to get to know the people in their neighborhoods.